OBS oversteer Release his Drift mod 2.0 I guess in 2008, I'll try it and think it's not the best realistic mod, but it contain some good drift cars that we don't have before. SO im playing on OBs server. I meet NYR there an australian amazing drifter. 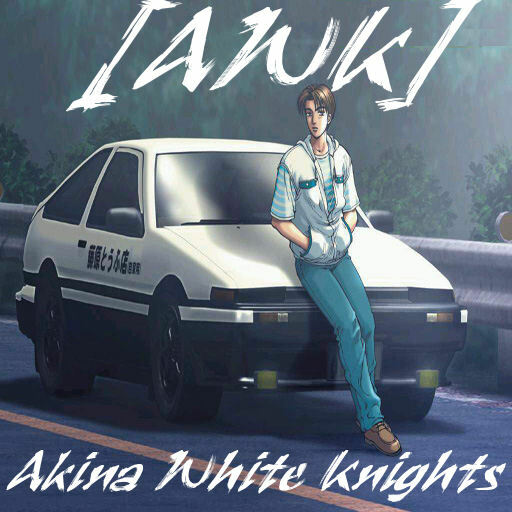 Few weeks later, Driftking release the first version of Akina. We (Me and NYr) start to play each days on this amazing touge track. I create a name(AWK) and a forum on Sept 2008 for the team. Some people come for join Us, but no one stay. too hard for some of them, too tight for drift for the others... After maybe a year ( yes you heard well) playing alone with nyr each days, some people come. Irmin come and give a permanent server:) thanks to him, After some weeks, Bart and Kobang comes and stay ! Steph and JUBU is another one to come and stay with us. After another Year of playing togheter, Jubu Is stopping for some personnal reason, NYR too for exams, irmin too. we don't have permanent server anymore but we play with "Log me in Hamachi2". Get it for playing with us. PS. I'm not totally gone, I'm just pretty busy nowadays and can't race as much as I'd like to. Hopefully I can return someday.